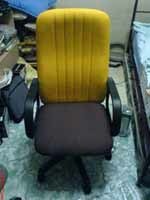 I have been waiting for my new chair for more than 1 week. Finally the stupid sales called me and said my chair is ready. Since they not willing to provide free delivery, i got to ask my private driver to help me to get the chair. I travel from Imbi to Sri Petaling to look for my obelad gf then only we to Old Klang Road to pick up my chair. While i was in the monorail (from Sg Wang to Hang Tuah) i meet another gang of pick pocket at Time Square Station (or Imbi Station). There are a lot of people waiting at the Time Square Station and once the door open, everyone rushing into the monorail like nobody business. I saw few malay boys keep pushing the people in front of them. One of them trying to take the wallet from a Yellow T Shirt guy. Luckly tat time someone from behind push the obelad pick pocket and the Chinese guy turn his body to another side. So the stupid pick pocket not able to get the wallet. He is really luckly la. I think the color a bit weird. u know y? ei, i tot is old chair le…why so weird?